An amazing bunch of demographics. I was especially surprised to learn there are more high IQ kids in India than there are kids in the USA. Some of the stats also point at the need for the USA to accept immigrants. I’ve spent a part of my time during the past ten weeks taking an online course on the U.S. Constitution. Presented free by Hillsdale College this course is worth your time. The videos are high quality live lectures prepared especially for this series. Constitutional professors from Hillsdale present the lectures with skill and enthusiasm. The course is not easy, but nothing that is worthwhile ever is easy. Reading assignments, and quizzes go with each lecture. Students may e-mail questions to Hillsdale for a few days after the lecture, and answered in an online video by the lecturer. It has been fifty-six years since my Civics classes in high school, and I felt it was time to review. I am not sorry I did. The Declaration of Independence and the U.S. Constitution are two of history’s greatest lessons. There is no government on this earth that has survived successfully as long as the United States, and it is attributable to these well conceived documents. For the past one hundred years a movement called Progressivism has been working to undermine the country by demeaning the Constitution, and they are making considerable inroads to change the meaning of the following. Take the online course from Hillsdale, it is free, and it will refresh your belief in America’s foundation. In the nineteen fifties, Junior and Senior Proms in high school were important events The Senior Prom was the really big deal. The Junior Prom was a training event. Let’s face it, Junior boys are not very coördinated when it comes to the social graces, at least not in my time. My brother Bill colluded with a buddy to set me up with a date in the fall of 1954. Bill’s friend, Bob Keough, had seven sisters, one of whom was a Junior in high school. Jacqueline attended St. Louis Academy on State Street near 115th. Mendel and Saint Louis often attended each other’s sock hops, but I never saw Jacque (pronounced Jackie) at any of them. Bill talked me into calling Jacque. At the same time, her brother Bob told her I was going to call her. I am not a big talker, but when I heard Jacque’s freindly voice and her infectious laugh, the conversation went easy. We talked for an hour about all kinds of stuff. Finally, I asked her out for a date. We went to a movie and followed with ice cream. We learned a lot about each other on that date and became great friends. That date led to another, and soon we were going steady. Jacque invited me to her junior prom. A prom is a very formal dance. The girls wear gowns and the guys wear tuxedos. The guys buy the girls a corsage to make it nicer. 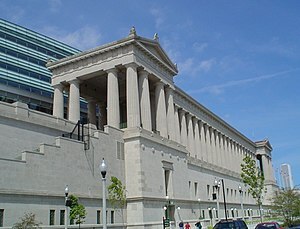 The St. Louis Academy Junior Prom was held at the school. The band played great music. I prided myself on being able to dance the jitterbug. Dancing fancy made a guy popular. We had a fantastic evening. We dated through the summer and all through our senior year. I asked her to my prom, and she reciprocated. 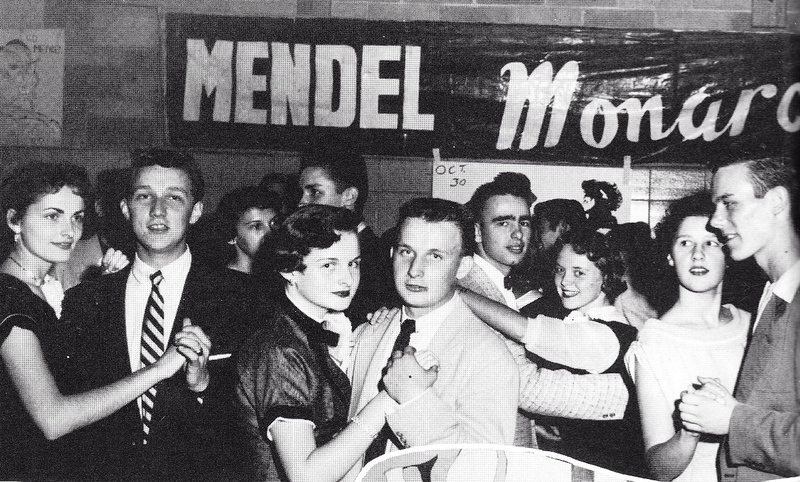 The Mendel Prom was at the Conrad Hilton Hotel in the Grand Ballroom. The Saint Louis Academy Prom was at the DelPrado Hotel in Hyde Park. When prom ended, it was customary to go to a night club on Rush Street. None of us was old enough to drink, so we wound up paying the cover charge and getting Cokes for our drink minimums. We went to the Blue Note Jazz Club on Rush Street in Chicago. The Duke Ellington Band played until it was time for us to leave. Each of us had a curfew to make. Jacque and I were an item for two years. We talked on the phone all the time. We went to every sock hop, dance, game and pep rally that our schools had. When the school social calendar was quiet we dated on our own. We went to movies, or to the Grant Park concerts, or we just hung out together. Mom took a shine to Jacque too. Why, I don’t know, Jacque wasn’t Hungarian, but she was a good conversationalist and listened well. Mom always wanted her kids to hook up with a Hungarian mate. That never did happen. I never even dated a Hungarian girl. After the proms and graduation, the summer sped by as we prepared to leave for school. Saint Joseph’s College in Indiana is where I headed, Jacque enrolled in nursing at Saint Francis School of nursing. We spent every minute we could together. I was hopelessly in love with her, but too young to marry. Neither of us wanted to marry until after we finished our college. I started college in August of 1956. St. Joe’s is a small school in the middle of a cornfield on the outskirts of Rensselaer, Indiana. Jacque started nursing school on the far north side of Chicago. Each of us lived at school. We wrote letters to each other daily. I looked forward to the mail with excitement. 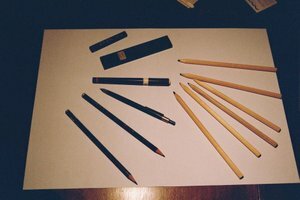 We wrote about our classes and how hard everything was, especially pop quizzes and exams. Her life was very different from mine. I attended classes while she did class work and worked in the hospital. My roommate in freshman year was my good friend Jim Geil from high school. Jim and I were bosom buddies. Geil, as I called him, and I were always looking for ways to entertain our ladies. We learned of the Junior-Senior Prom at St. Joe. We did an unusual thing, we joined the prom committee. We were the only freshmen that ever volunteered for the prom committee. It was an upper class event, but because the total enrollment of Saint Joe was eight hundred, invitations went to the entire student body. We worked every spare minute we could on decorations for converting the huge gymnasium into a Roman Garden. I painted two very large canvasses with scenes from ancient Rome. These paintings were the back drop for the two balconies overlooking Rome. Jim invited his girl and I invited Jacque. 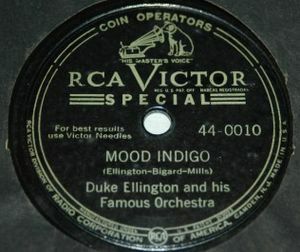 The band was the Duke Ellington Orchestra. The girls had to stay in town at a boarding house for women only. The committee transformed the gym into the courtyard of Roman Villa. The ceiling was dark blue with tiny lights for stars. The exterior walls were stucco with two large windows overlooking Rome. A long pond with a fountain adorned the center of the floor. Jim and I made a lot of friends in the Junior-Senior Class because of our participation on the committee and that made us popular at the dance. The Ellington Band was also fabulous. I collected his music for years afterwards. I can still recognize Ellington music within a few bars. After the prom, the year ended with exams. The summer was busy with work to earn money for school. Jacque went to school through the summer and our dating became sparse. A few weeks into sophomore year at St. Joe I received a letter from Jacque. I was just as excited as ever. This time, however, the tone of the letter was different. The letter more popularly known as a “Dear John”, started “Dear Joe”. The lady I loved with all my heart dumped me. Devastated, mad, and sick, you name it, I was it. How could she? Didn’t she know I loved her? Well, I sent many a letter asking why, but I never got a response. I made up my mind to get over it and put the energy into my studies instead. My letter writing didn’t stop, though. Jim did not return to Saint Joe that year, but we corresponded. Our friendship helped me get through a very rough emotional time. Jim began dating Carol Jean, a student at St. Anne’s School of nursing. The letters continued, and led to some very interesting times. It was during this period, that I invented Steve Star, a character I could hide behind. This story does not end, but it will continue. 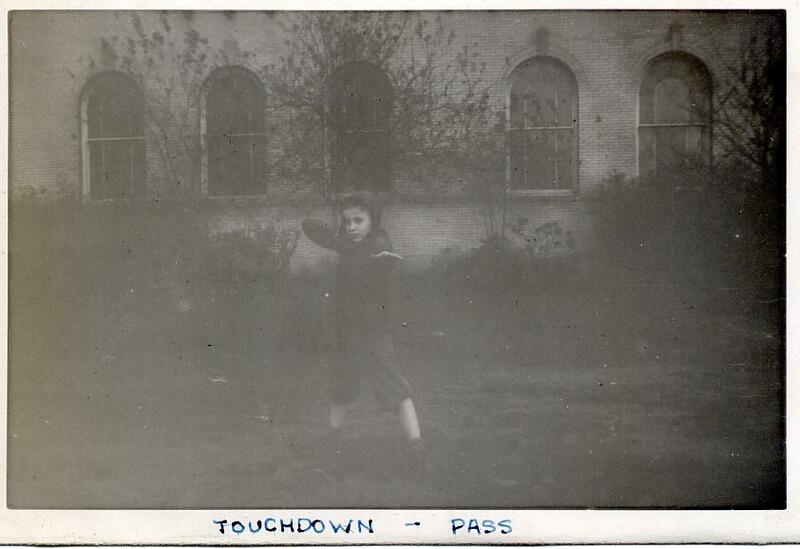 The football team at Mendel was as young as the school; one year old. The young team played games, but always against the Freshmen/sophomore teams in the Catholic league. Football in the Catholic league was a huge sport. Since most of the Catholic schools were boys only or girls only, the teams meant a lot to a school. The dominant footballs teams were from Carmel, Leo, Fenwick, Saint Rita, and De LaSalle. There were others, too, but these schools dominated the league. I remember reading about “Red” Gleason, the coach from Leo High School. Leo played in the championships often. Winning the Catholic school championship meant playing at Soldier Field against the public school champions for the All City Title. My brother Bill went to St. Leo when Red Gleason coached the Leo team to a championship. I secretly dreamed of joining the football team. My limited association with the game came from playing “tackle” on the lawn next to the rectory. Tackle games were few because we had to wait for an evening when Father Horvath was out. I didn’t know about shoulder pads, hip pads, padded pants, jerseys, or helmets. None of my friends did either. Most of the time we played “tag” games in the schoolyard, or on the street in front of the house. Wow! I thought, Red Gleason, a chance to meet ‘the man’ himself. I couldn’t wait for the day to end so I could rush to the gym to sign up. Finally, the last bell rang and we rushed to our lockers to put away our books. There was plenty of time to get to the gym, it was only 3 p.m. I got there early to stand in line with what seemed like at least two hundred boys. All of them were anxious to try out for football. At three-thirty, Fr. McNabb walked into the gym with a short dumpy man, rather portly, with thinning reddish hair. I recognized him from the pictures I had seen in the newspapers. Red Gleason is really here. Father directed us to line up single file and shoulder to shoulder. The coach and Father McNabb passed by the line for inspection. Coach stopped in front of each boy and looked him over head to toe. Sometimes he asked for a name, or some other question, and occasionally, he even shook a boy’s hand. I was in heaven. Red Gleason asked me to try out for the team! Of course, the largest obstacle I faced was not the team tryout, but it would be talking Mom and Dad into letting me do it. Neither of them knew much about the game except that you could get hurt. I had all summer to do it; now I just wanted to celebrate. Ideas flooded my mind for how to convince them. After a days of deliberation I decided to work hard all summer to earn my tuition so they would have to let me do it. The summer of 1953 became the longest summer of my life, and was also the one that changed my course in a way that tested me beyond all of my dreams. My grammar school was special; it was small, and it was across the street from our home. It was a typical Catholic school, except; the classrooms were above the church. The building was dull compared to European churches. Some Catholic schools were separate from the church. Those parishes had a typical European style church with ceilings that stretched toward the sky, choir lofts and arched stain glass windows. Our pastor built a cost effective, utilitarian building. On the second floor were four classrooms; grades 1-2, 3-4, 5-6, 7-8 doubled up in a single room. There was not room for kindergarten or preschool. The nuns lived on the same floor in the space of two classrooms. A single nun taught in each room. An aisle divided the grade levels. Each room had six rows of seven desks mounted to wooden slats. The seven desks all moved together, and room set-up was easy to do. The seat back of one desk formed the front of the desk behind it. The desktop slanted down to make it easy to read and write. At the very top of the desk surface was an inkwell with a glass bottle. No ink was kept in the well unless we were doing a writing exercise. The desktop lifted up to reveal a compartment for books. Each classroom had between 30 and 36 kids. The school population was between 120 and 144 kids. Perry School, a public school nearby, was much larger. Having two grades in a room always gave the lower grade an opportunity to see what the upper grade was doing, and the upper grade could review last year’s material. The nun assigned work to one grade, and taught the other. Our assignments were solving problems, practicing our writing, or reading. She could only leave a group on it’s own for a short time before someone would start talking or picking on a classmate. A nun was very good at dispensing justice. Punishments varied from standing in the corner to getting a whack across the hands with a ruler. If a student did something very bad, she sent him to the principal’s office. Sometimes she held a culprit after school to clean up the room. Cleaning up was a gift. A worse punishment was staying after and just sitting quietly reading an assignment. I had my share of detentions, knuckle whacks, and corner facing. Every day, school began with mass at eight o’clock. I could never get there on time, but neither did many others. I just marched down the center aisle to my class, and joined them in the pew. Our nun sat with the class. After mass everyone filed out of church up the stairs to the classroom. We had a fifteen-minute recess in the morning. Our lunch was one hour. The afternoon recess was also fifteen-minutes. Classes ended at 3:00 P.M., except on Wednesday when we got out at noon. That’s when the public school kids came to OLH for Religious Education. Every day, class started with a prayer, and the Pledge of Allegiance to the Flag. Our rooms all had a blackboard across the front with a set of maps hanging on rollers. The Sister could pull a map down when needed. Above the blackboard was a line of cards with the alphabet shown in cursive capitals and lowercase letters. The street side was a wall of windows and the center wall had a closet for our coats. We could buy milk daily, or by the week. A milkman delivered the milk in special racks filled with half-pint cartons. Most kids brought a lunch. Those of us who lived very close went home for lunch. Attending a Catholic school gave us many excuses for getting out of class. For the boys who were altar servers, it was serving at a funeral. The girls got off to sing. During funerals, we had to be extra quiet in the classroom. We didn’t want to wake the dead or disturb the mourners. The eighth-graders always got called on to be messengers. They went from room to room to hand the nun an announcement. The older boys served on the safety patrol. “Patrol Boys,” stood at the corners on the way to school. Their job was to warn kids from crossing when a car was coming. That was a good duty because I got to come in a little later and leave a few minutes earlier to stand on my corner. Patrols got to wear a white belt that crossed over our shoulder to our waist. Today, only adults are crossing guards, and they get paid for their duty. The nuns sent report cards home to our parents four times a year. They used a number system to grade us. Each subject had a number. For instance, Religion – 85, meant I scored 85 percent on all my work in religion. Our parents had to sign the cards. We got them on Friday and had to return them on Monday. God forbid that I got a check mark on anything, especially, obedience. A check mark in an area was a signal to my parents. It meant they were failing to keep me under control. Whenever I got a check mark, it was a guaranteed lecture from Mom. Dad never said anything. Neither Mom nor Dad went past the fourth grade, but it never showed. What they lacked in formal education, they made up for with experience and common sense. They never doubted or challenged a nun on any issue. A nun was always right. She was a saint. The priest was Jesus with a black robe and white collar. As a Catholic, we believe that we are the one true church. Back then associating with Protestants was not appropriate. Hanging around with a protestant person was the same as wanting to be friends with the devil. Mom always wanted us to speak Hungarian at home and we did until we started school. One year, she learned about a summer school that taught kids to read and write Hungarian. The people of the Hungarian Reformed Church taught Hungarian during the summer. Their church was near Tuley Park. Mom registered Sis and me. We went to the first class. It was fun, and I looked forward to learning to read and write. For some reason after the first session mom told us we weren’t going any more. Many years later I learned that she felt guilty about sending us to the Reformed church. She talked to Father Horvath about it. He didn’t make Mom feel any better. He advised her not to send us back. Back then the Catholic Church made the current Islamic Fundamentalists look like amateurs. The reason for keeping us out was a fear that the protestant teacher would convert us to their beliefs. Our nuns always helped by tutoring us. My worst subject was English Grammar; it still is (Thank you Bill Gates for Microsoft Word grammar check). I never got the idea of sentence structure, and diagraming sentences was gibberish to me. During the exam to get out of fifth grade, I got stuck on those questions. I wound up being the last one in the room. Sister Clementine came to my desk. She sat next to me and started asking questions to try to give me hints. She did everything but give me the answer. It was embarrassing, and I was afraid to death that I was going to flunk. It terrified me to think of repeating a grade like my friend Georgie. Worse, I feared what Mom and Dad would say. It seemed like she sat with me for an hour coaching me through the exam. To this day I feel she promoted me to the next grade out of sympathy. My social life was never lacking because of all my friends around the block. In grammar school we stuck to each other like glue. We hung together, we danced, we played games, we laughed and told each other our deepest feelings. When high school entered our lives, it all changed. We were still friends but our common interests were gone. All of us were developing new ones. We had new activities to attend. Now, we met our high school friends at these activities rather than take our grammar school buddies with us. The school frowned on bringing boys from a different school to a Mendel social function. It was okay to sell them a ticket to a ball game but not to a dance. In a way, attending high school was like belonging to an exclusive club which was members only. Up until that time, I had never heard the term ‘sock hop” before, but my new buddies, who were already in the know, told me I had to go because it was a great place to meet girls. I could have taken a date to a sock hop, many boys did. I was too afraid of girls to do that. Even though I danced a lot with the girls of Avalon, this was different. These girls were strangers and I’d have to talk to them. It wasn’t easy for me to come up to a stranger and begin a conversation. My mom was great at it. She made friends with people in an instant. Dad was quiet. He had to force himself to meet new people all the time on his insurance job. The sock hop was always on a Friday night. They began in mid-fall during football season, and continued through the basketball season. Many times they were right after the pep rally, and bon fire. They were simple dance socials organized for the purpose of getting the boys to meet girls and vice versa. We always had a live band of high school kids who played the latest music. At least one band member was a student at Mendel. We had to take our shoes off to dance on the sacred basketball floor; that’s why it was a ‘sock hop’. There were a number of Catholic schools In the Roseland area. Saint Louis Academy was one of them. Saint Louis was an all girl’s school located on State near 115 Street, and about a mile from Mendel. The priest in charge advertised our event at all the neighborhood girl’s schools. The word always got out, and there was always a good crowd at these dances. In my first year, I attended as many hops as I could. Each time, I met a buddy and we stood on the sidelines drinking a coke, eyeballing the girls dancing by themselves. We poked each other when a particular girl peaked our interest, and dared each other to ask her to dance. I always thought the girls were too good for me, or too pretty. I never believed a pretty one would ever accept my offer to dance. The girls all seemed so old and mature. Most times it took me all evening to build up enough nerve to ask a special girl to dance. Then, when I finally made my move, another guy asked her just before me. The dance ended at 10 p.m., then everyone went their own way. Many parents waited outside in cars to pick up their daughters. A few older boys drove home from school, but most of us took the streetcar home. In that first year that I attended the sock hops, I never developed enough nerve to ask a girl for a date after the hop. I finally got enough nerve to begin asking girls to dance, but never had the nerve to go past “see you at the next sock hop” when it came to furthering a relationship. Every time I attended a sock hop I took a step away from Avalon and a step further from my friends on the block. My freshman year at Mendel was my ‘breaking away’ experience. We were all growing up and expanding our horizons, but desperately holding on to each other at the same time.